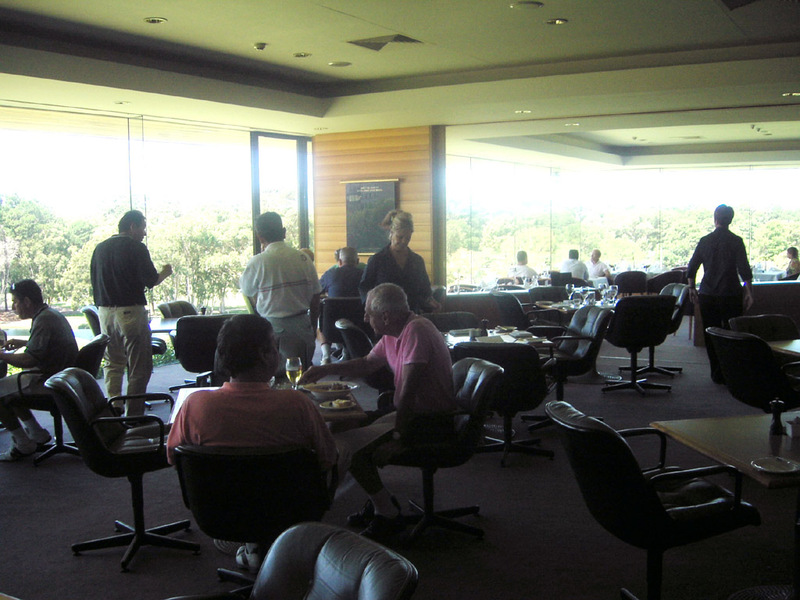 It is very prestigious & exclusive golf club in Sydney with over 100 years history. 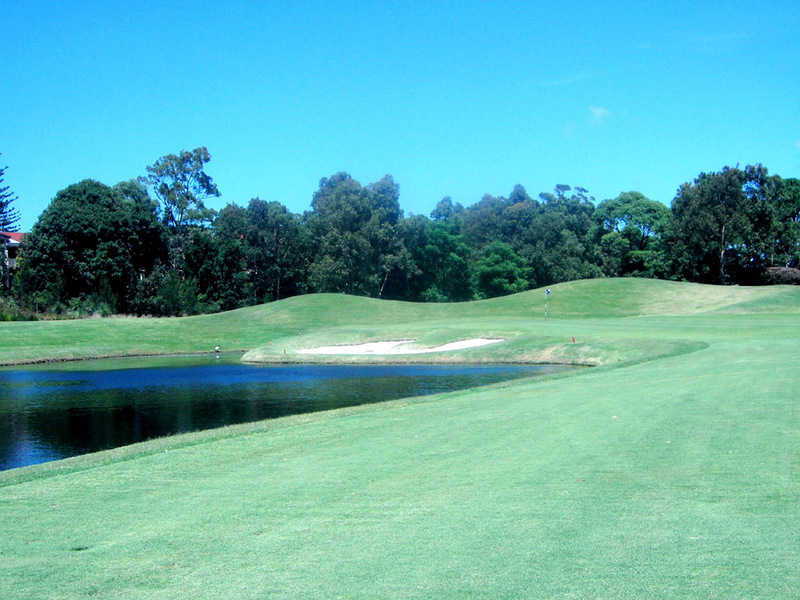 The woodland course is beautifully manicured with a series of water hazards. Jack Nicklaus remodeled in 1980’s adding length, bunkers, water hazards and distinct mounds to create a golf course not similar to the original in many ways. 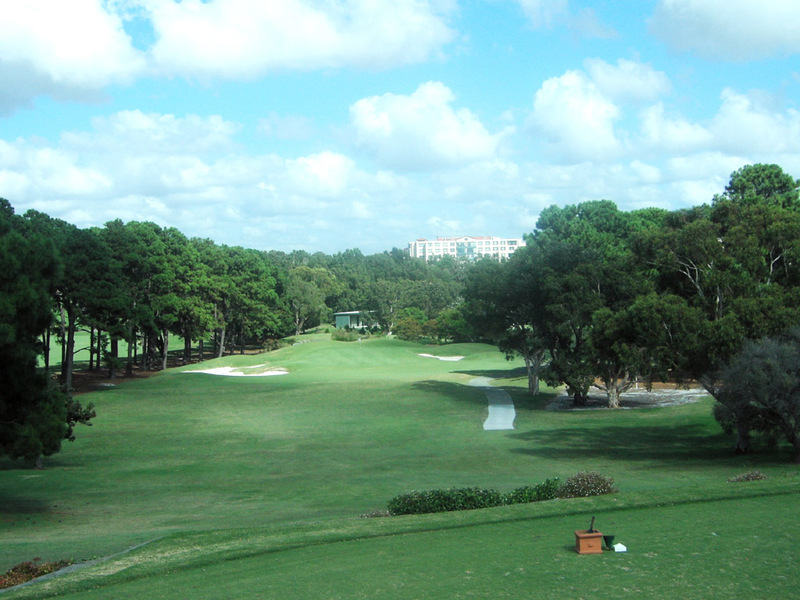 It can be a punishing course as long, accurate approach shots are needed to hit onto tight, bunker laden greens. 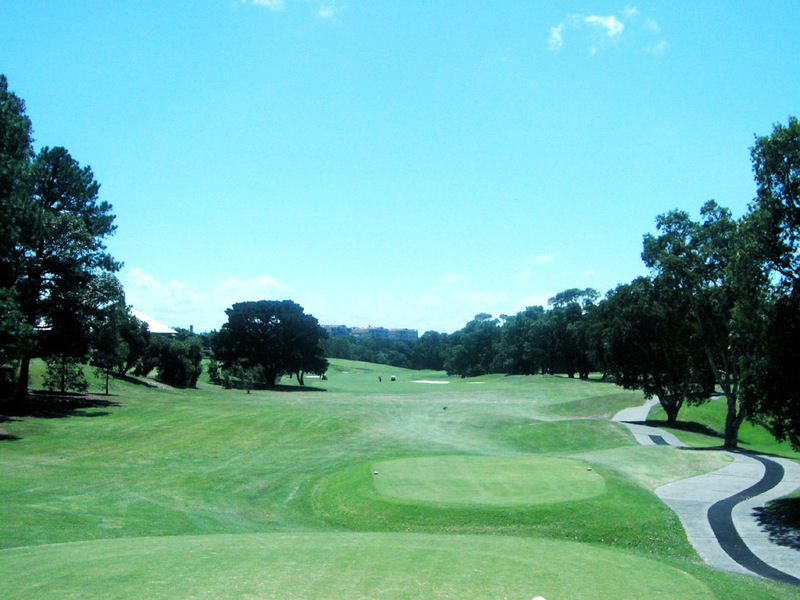 A slightly downhill, difficult par 3. 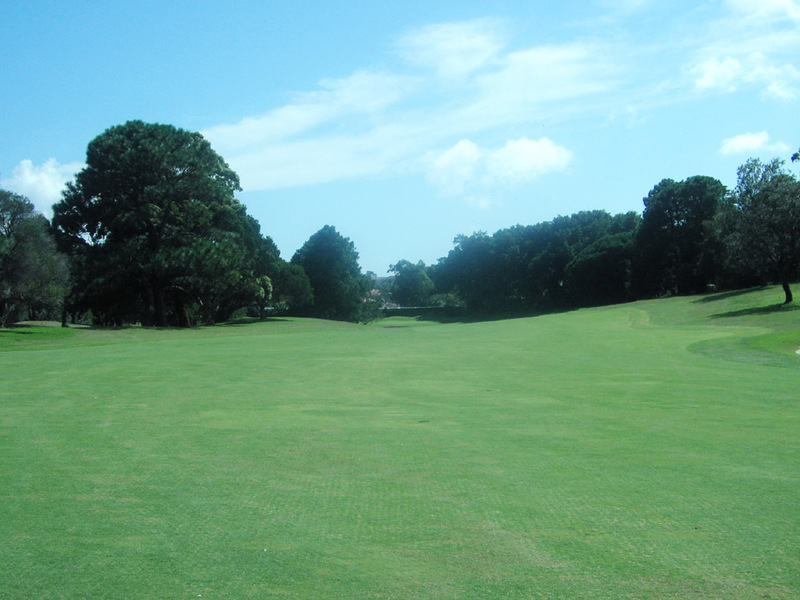 The green is 42 yards deep and narrow, protected by bunkers on both sides. The green falls away sharply to the left at the rear. When the flag is at the back, the hole is more difficult. A par 3 over a pond. 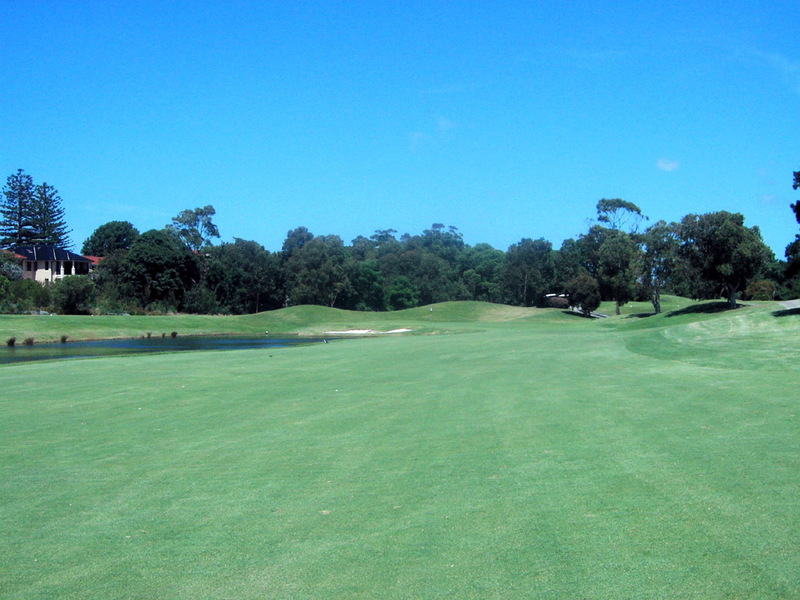 The green is shallow and guarded by the water and a bunker in front. Another bunker at the rear of the green comes into play, too. The right club selection is important on this hole. A dogleg to the right. This is a relatively tight hole. A 270-280 big drive is needed to clear the corner bunker on the right. 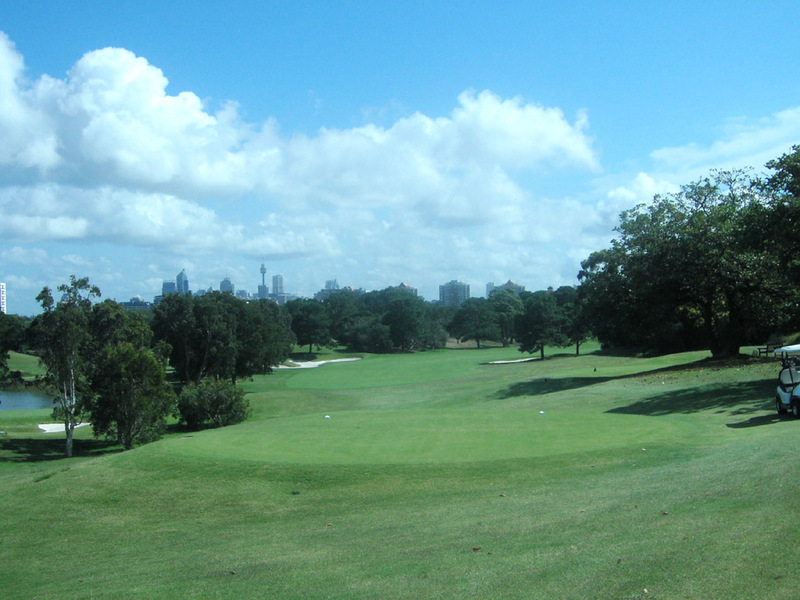 The seconds shot should be kept well right as the fairway slopes from right to left. The green is well protected by 3 bunkers. 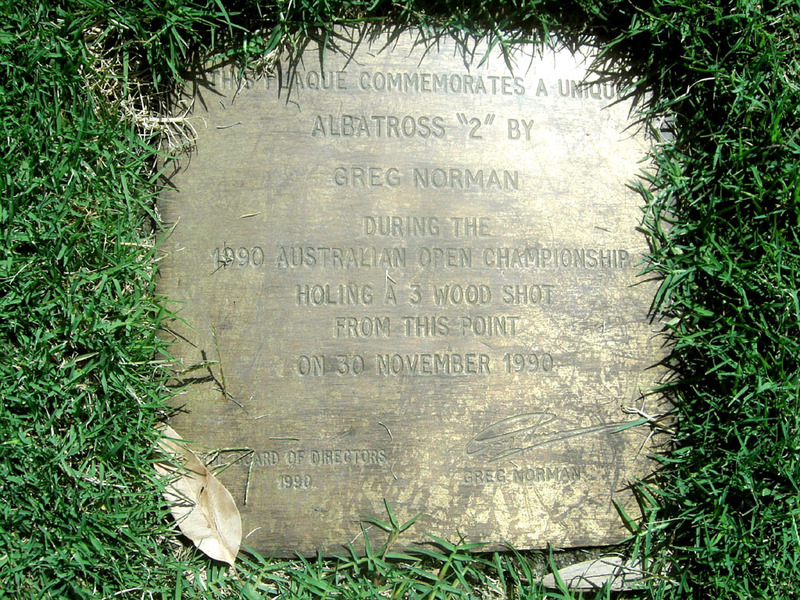 The right picture is a plaque to honor an albatross scored by Greg Norman during a tournament in 1990. He hit the second shot from the plaque directly into the hole 258 yards away. Front and the entire right side. On top of it, there is a sharp drop on the left. Bailing out to the left to avoid the water leaves a difficult third shot. 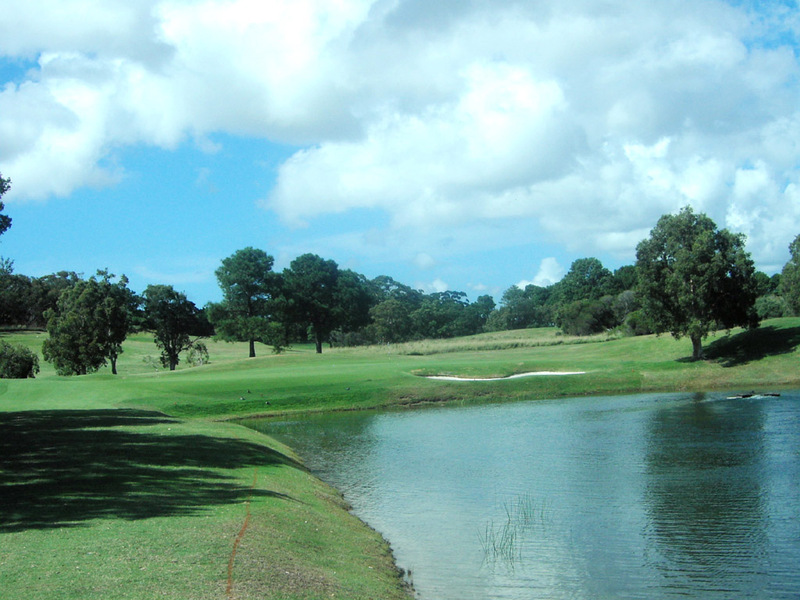 When the flag is at the back, the approach shot is over the water, which makes this hole especially difficult. A dogleg to the right. The fairway bunker left is reachable with a 250-yard tee shot. The second shot is uphill. The green is small and slopes slightly from back to front. 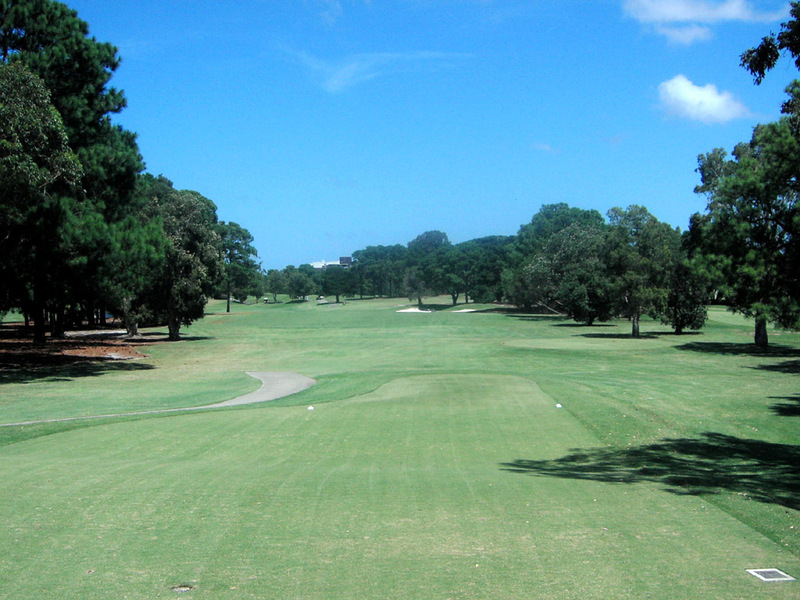 A straight, very long par 4. 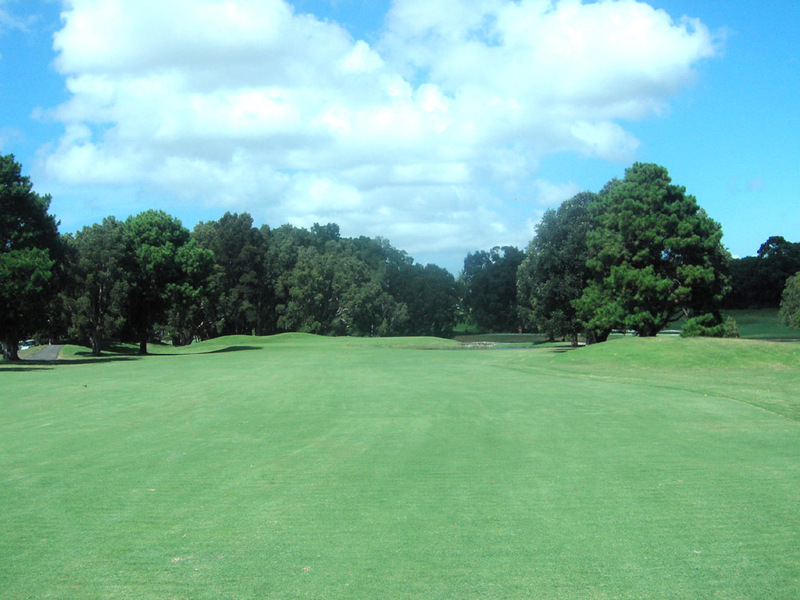 Trees line the relatively tight fairway. 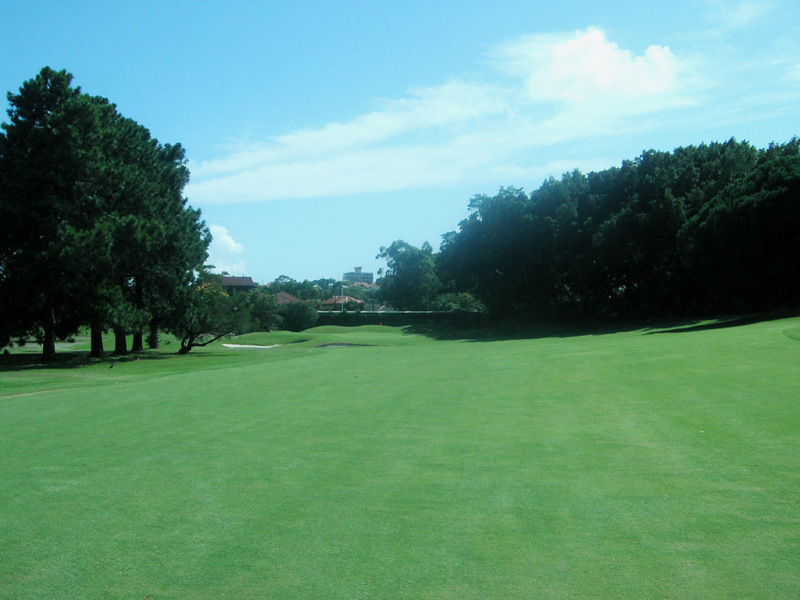 The deep three –tiered green is guarded by deep and extensive bunkers. This hole requires both distance and accuracy. A slight dogleg to the left. 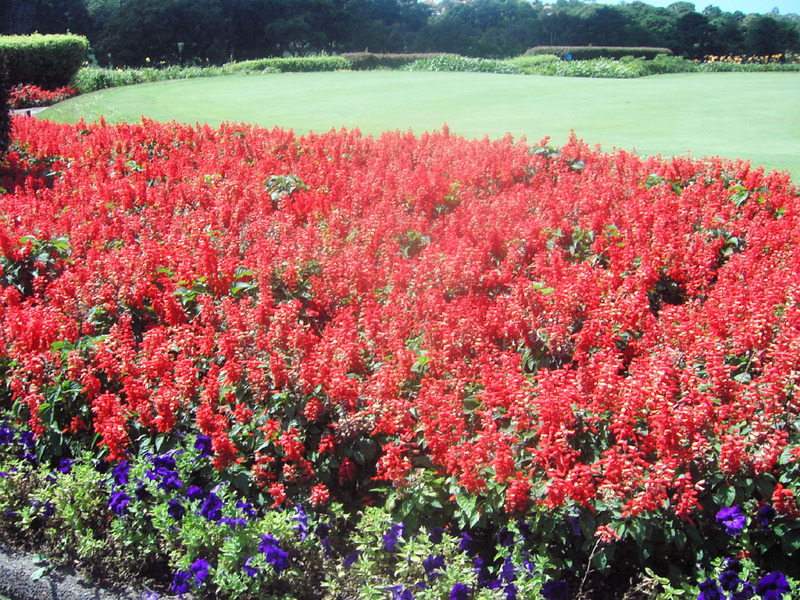 It is a tight driving hole. The green is swung to left and the second shot is over a pond. 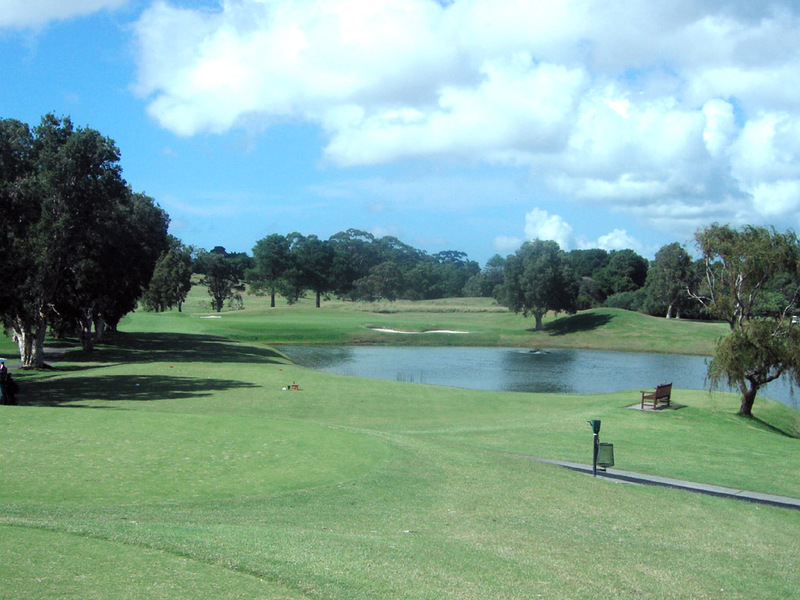 Not just the water but also bunkers positioned on the front and at the rear of the green come into play. This hole is beautiful and strategically challenging. An almost straight hole but curves to the right 50 yards in front of the green. 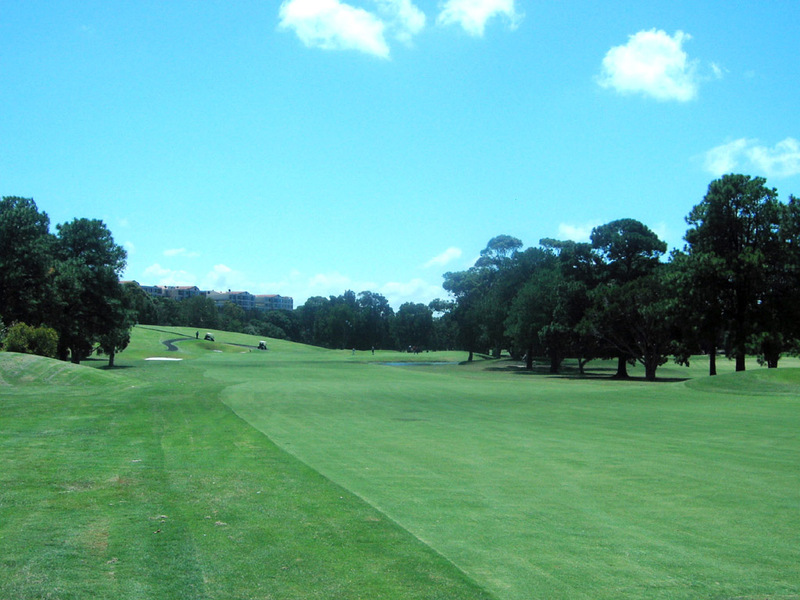 The right fairway borders a pond around 80 yards in front of the green and the pond extend into the front and down the entire right side of the green. A long hitter can reach the green in 2 but the water forces him to hit a long & very accurate second shot. 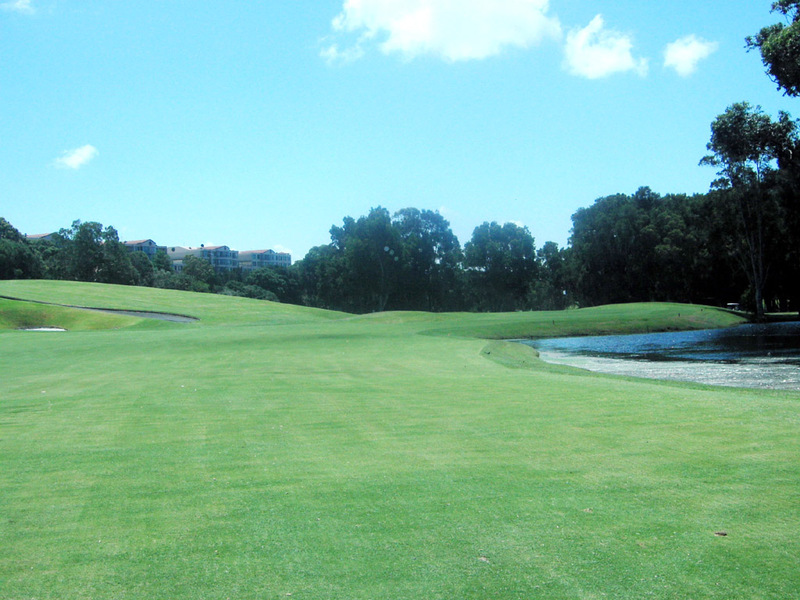 I you decide to lay up, the landing area of the second shot is narrow as a pond squuezes the fairway from the right. 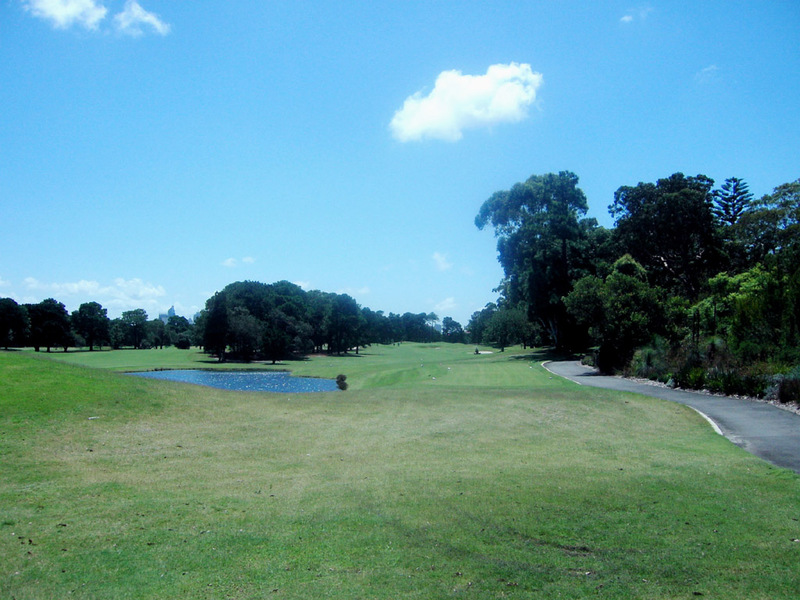 Therefore, to play safe you could hit the second shot onto the wide fairway 100-120 yards in front of the green where the water doesn’t come into play and get birdie with an accurate approach shot. 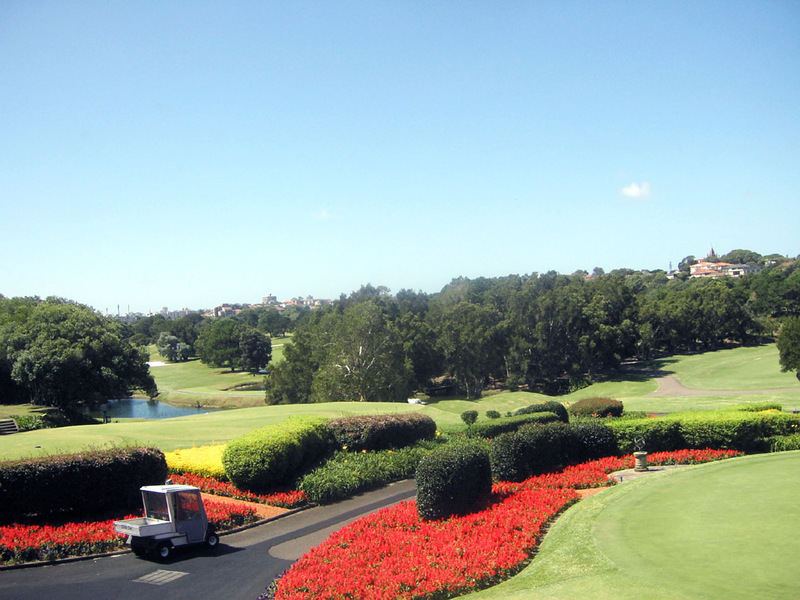 It is a 25-minute drive from Central Sydney and a 10-minute drive from Sydney Airport. 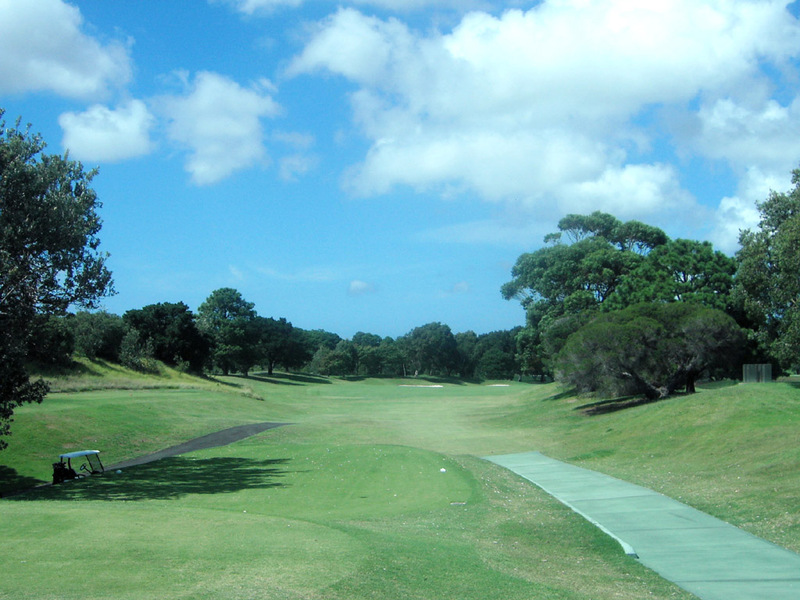 You need to be accompanied by a member to play here. The distance is in meters. 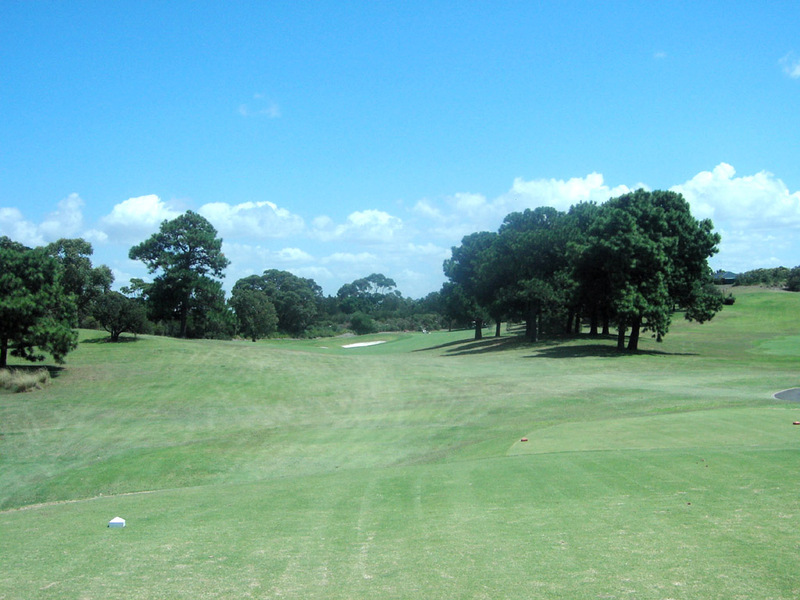 If you are a handicap of 4 or below, you can play from the longest black tees. 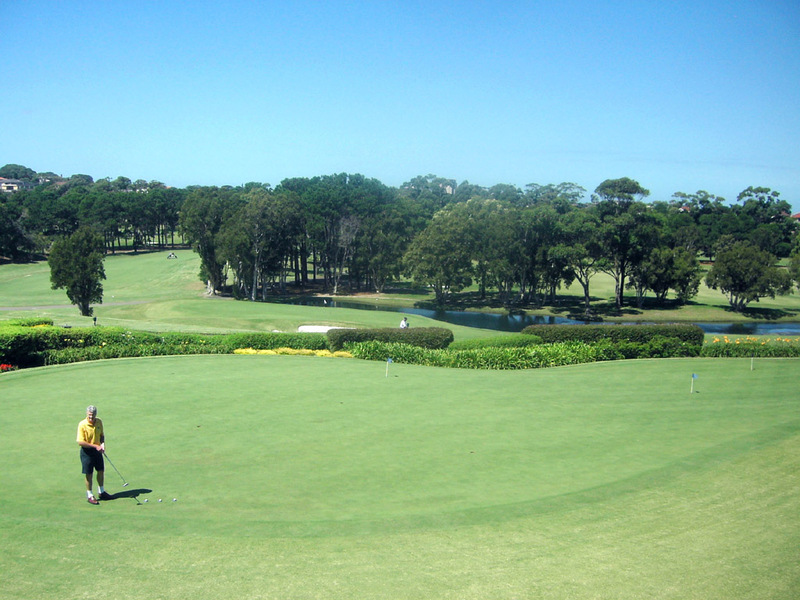 The course is ranked 9th in Australia by Golf Digest 2006. 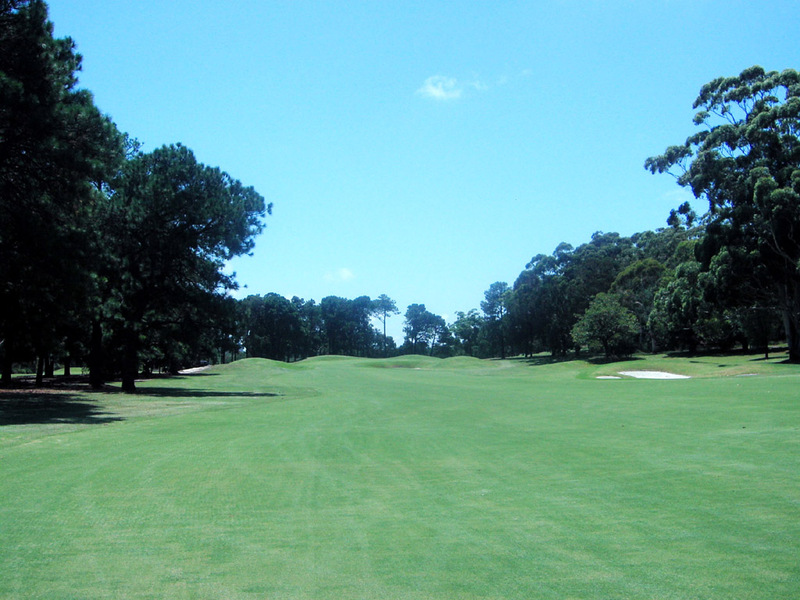 The other Jack Nicklaus designed golf courses in Australia are The Heritage G&CC (ranked 35th) and Lakeland GC (ranked 59th). 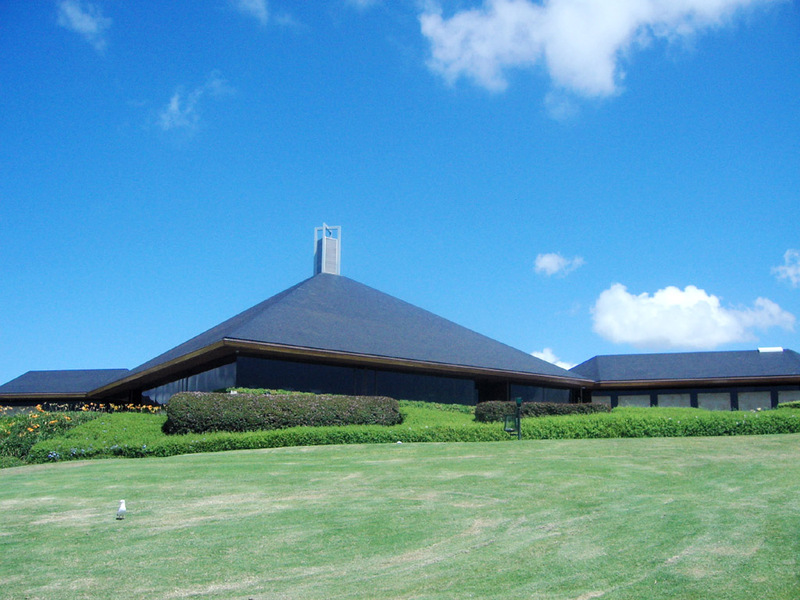 There is Kinloch GC in New Zealand.